Staples is offering a $30 discount today on the 32GB iPad. The iPad is not the big deal it once was, but it’s still a great option for a travel device or web surfing from the couch—especially when a laptop would be overkill. Today, Staples is selling the latest 32GB Wi-Fi only iPad for $299, $30 off the new (and lower) standard price. This offer is valid for online purchases and expires on Saturday, April 8, or when supplies run out. The sale applies only to the Space Gray version, which may clash with your sense of style if you were hoping for a silver or gold model. This current iPad, which just launched in late March, features a 9.7-inch Retina display with 2048x1536 resolution at 264 pixels per inch, weighs just over one pound, and is 0.29 of an inch thick. Inside is Apple’s 64-bit A9 chip with the embedded M9 coprocessor, while outside are 8-megapixel rear-facing camera, and a front-facing 1.2-megapixel camera. 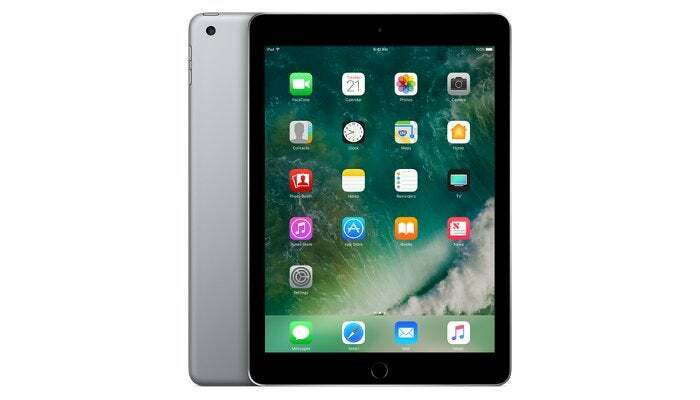 The current iPad also has Apple’s Touch ID fingerprint sensor and an oleophobic coating on the screen to reduce unsightly fingerprints.